Bnei Akiva (Hebrew: בני עקיבא), founded in the British Mandate of Palestine in 1929, is the largest religious Zionist youth movement in the world today.It is active world-wide, with over 125,000 members in 37 countries. There are 75,000 members in Israel and 54,000 members in the rest of the world. 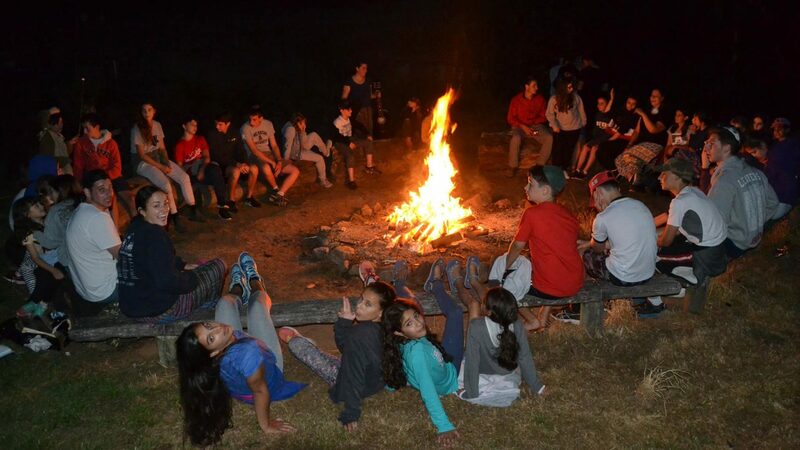 Locally, Bnei Akiva chapters are called ‘סניפים'(pronounced snif), “branches” with each age group constituting a ‘שבט'(pronounced shevet), “tribe”. Bnei Akiva’s twin ideals of Torah and Avodah loosely translate to religious commitment/study and work on the land of Israel. The movement has an anthem called Yad Ahim. As a pioneering Zionist youth movement, Bnei Akiva believes that it is a central commandment of Judaism to emigrate to the land of Israel–“make Aliya”– and maintains that the future of the Jewish people is tied to the state of Israel. Bnei Akiva feels that Jewish youth in the Diaspora should be educated to realize that the State of Israel needs them, and that they, in turn, need it. One day while attending to his flock, he noticed a rock onto which droplets of water kept dripping. He thought that if something as soft as water can penetrate this solid rock and cause it to erode, so can the Torah penetrate into me – a shepherd who at this time was solid in his ways. Thus we strive to be like Rabbi Akiva for his three qualities: (a) his love of Hashem, a steadfast devotion to the Torah and his ultimate martyrdom at the hands of the Romans, (b) his love of Israel and his fight for its independence, (c) his love of labour and his respect for it, remembering always his early life. The “Semel”, Bnei Akiva’s emblem, is made up of different objects each relating to a different aspect of the group’s ideology. The farming utensils and the wheat sheaves relate to the original agricultural perspective of the ideology. The two tablets of stone in the center relate to the Torah perspective. The two perspectives of Torah and Avoda are united together by the ribbon which says Bnei Akiva on it – symbolizing that the two aspects can only and must work hand in hand. The letters on the two tablets are the Hebrew letters ‘Taf’ and ‘Ayin’ standing for Torah veAvoda (“Torah and work”). The Bnei Akiva anthem (himmnon in Hebrew), was composed by Rabbi Moshe Zvi Neriya (originally known as Chaver Minkin). He composed the anthem during the Chol Hamoed period of the Jewish holiday of Sukkot, 1932, at a gathering of youth leaders in Kfar Saba. Although the words have changed somewhat, there are very few Bnei Akiva occasions in which the anthem is not sung. The anthem, Yad Achim, is sung in Hebrew.